In the ongoing clash between those who sell extended warranties and those who say take your chances, the odds of saving money depend upon the cost and likelihood of needing a repair. At the 2013 International Consumer Electronics Show in Las Vegas this week, N.E.W. Customer Service Companies LLC, a longtime sponsor of this newsletter, provided some hard data to help consumers answer the question, "Do service plans actually save the customer money?" Each year, the company said, millions of consumers purchase service plans to protect their products from both the cost and inconvenience of unexpected repair. And while there are other benefits from protection plans, such as troubleshooting or general help in the setup and use of their products, people often ask that question. To help answer it, NEW supplied the data below to provide insight into the average cost of the most commonly required repairs for many popular products, including typical labor and parts costs associated with each. NEW concluded that when you add the potential repair costs a consumer without a service plan would face and compare it to what they would have spent on a service plan, it is evident from these figures that the service plan can provide a consumer with tremendous savings -- sometimes even to the tune of hundreds of dollars. These cash savings, coupled with the time savings that service plans offer consumers by having a 24/7 solution to product challenges, define why buying service plans is just plain smart shopping, the company suggested. Let's go through the data that led the company to this conclusion. First, NEW said consumers can expect to pay 10% to 20% of the product purchase price for a service plan. In the table below, we've taken the average 2011 selling price of seven popular consumer electronics items and calculated the expected range of costs for the associated service contracts. Undoubtedly, there are service contracts priced either below 10% or above 20% of its covered product's cost. But for the sake of this exercise, let's assume that 10% to 20% is the typical range. The following repair cost data has been provided by NEW and its network of service providers, based on 2011 average service rates. The average product prices above are also based on 2011 product costs. In the tables below, NEW said the repairs are listed in order of frequency, with the first being the most common repair needed. With most customer-paid repairs, consumers face separate itemized charges for parts and labor. However, NEW said consumers who are not covered by product protection plans often incur additional fees for repair services. These may include line items such as "chemicals and supplies," which are assessed in addition to parts and labor. On the charts below, this additional cost item has been averaged out to a constant $8.00 fee across all product types, which is added into the total repair cost. In the first example, five different types of customer-paid repairs for an MP3 player are projected to cost between $72.40 and $221.65. In contrast, the cost of a service plan is expected to be between $22.90 and $45.80. The missing piece of data is the expected frequency of repair. For instance, let's say that only half the MP3 players ever need one of these repairs for the duration of a service plan. The predicted repair cost per unit, therefore, would be only half the totals listed above. If only one-in-four units ever needed a repair, the costs above should be divided by four. And so on. At the same time, one has to consider that these repair costs, adjusted for the expected frequency of them being needed, are more interesting to the seller than to the buyer. The buyer has only one unit. And either that one unit is the one that needs a repair, or it's one of the three that do not. And if theirs is the one, their repair cost is not divided by four. It's somewhat ironic that NEW released this data at the CES show in Las Vegas, because it really does come down to a gamble. Basically, the consumer can choose to pre-pay for all repairs, and take the chance that none are needed. Or they can choose to pay for repairs as they're needed, and hope that none are required. As the table above shows, any one repair will cost more than a service plan. So the gamble is over the likelihood of a repair -- of being the unlucky one-in-two or one-in-four, or whatever the exact failure rate would be. With an LCD television (measuring 37-inches diagonally or more), the most common repairs are going to cost between $262.90 and $1,187.90, according to NEW's data. Given the average selling price of $1,457, a service plan is expected to cost between $145.70 and $291.40. In such a scenario, the cost of replacing a power supply ($262.90) is towards the upper end of the range of prices expected for service plans ($145.70 to $291.40). So it is possible that if this is the repair that's needed, a service plan would not save the consumer money. However, a service plan would cost less than all of the other four repairs, including the two most common types of repairs: board replacements. With a Global Positioning System navigational unit, whose average price is projected to be $388, all four of the most common repairs are expected to cost more than a service plan. Even a simple antenna replacement is expected to cost almost twice as much as the most expensive service plan. We should note that the $388 price is an average. Much lower prices are possible. For instance, one retailer is currently selling a Garmin eTrex 10 GPS unit at a price of $119.99, with two-year service plans priced at $32.99 (27% of the purchase price). It's the same story for Blu-ray players. One retailer had an array of three different Sony players on sale for prices between $80 and $100. But it also had three Sony models priced around $250. One of those, a 9-inch portable Blu-ray player, qualified for a two-year service plan priced at $29.99 (12% of the purchase price). In the table below, however, we're tracking repair costs. And not even just the parts cost of a spindle motor replacement is going to cost less than a service plan. With laptop computers, average selling prices have been falling, but repair costs have not. In the table below, repair costs are projected to range from $177 to $446. None of those repair costs are expected to be lower than 27% of the purchase price, making a service plan a money-saving option in all instances where one of these types of repairs proves necessary. NEW listed only three types of common repairs for e-book readers, and only four for tablet computers. Truth be told, at least for the low end of the e-reader product line, replacements are probably more cost-effective than either customer-paid repairs or service plans. For instance, the six-inch Amazon Kindle with Wi-Fi sells online for $69, with a two-year SquareTrade extended warranty priced at $25 (36% of purchase price). The Barnes & Noble Nook Simple Touch sells for $79, with two-year protection plans priced at $20 (25% of the purchase price). In these cases, any of the three most common repairs is going to cost more than a replacement. Service plans may save money, but ironically the service plan administrator may also find a replacement to be more cost-effective than a repair. So it's just a matter of who absorbs the write-off: the consumer or the administrator? With a tablet computer, the investment is likely to be greater. In addition, the amount of personal data is likely to be higher. E-books can be easily replaced. Personal photos, contact lists, appointment calendars and the like are more difficult to replace. In fact, the amount of personal data in some of these product types can help make a convincing argument for a repair, as opposed to a replacement. It's the hardware that's broken, but the software is what's valued. In response, some service plan administrators are looking for ways to add data recovery options to their offerings. And the anti-theft functionality makes recovering the unit more of a priority than catching the thief or rendering the unit useless. In the table below, four of the most common repairs for a tablet computer are projected to cost anywhere from $138 to $328, with parts cost the key variable. Service plans are expected to cost anywhere between $42.30 and $84.60, making any one of these repairs more expensive than the coverage. Finally, NEW changed the format slightly when it came to gaming systems. In an effort to consolidate, it tracked three consoles -- from Microsoft, Sony and Nintendo -- and two handhelds -- from Sony and Nintendo. And for each platform, it provided a range of purchase prices and a range of repair costs for the top types of failure. The associated price of service plans is not listed. However, we did a bit of shopping and found that even a $300 Xbox 360 and Kinect bundle can be protected for two years at a price of $70 (23% of purchase price). A $300 Sony PlayStation 3 package can be protected for two years at the same price. A Nintendo Wii Console bundled with Just Dance 4 ($130) can be protected for two years at a price of $30 (23% of purchase price). For the handhelds, we found a $100 Nintendo DS protected by a $15 service plan, and a $300 Sony PlayStation Vita protected by a $50 plan. So let's just say that game system service plans are likely to be priced at the upper end of our 10% to 20% range, or perhaps even a little above 20%. Even then, any single customer-paid repair is still likely to cost more than any single service plan. For this product category, researchers have compiled more data regarding failure rates, thanks to the well-publicized calamity of the Microsoft Xbox 360. Back when the units first began breaking en masse, the projected failure rate was said to be 5% while the actual failure rate turned out to be 33%. However, Microsoft never officially confirmed either figure. In all these instances, the consumer is faced with a gamble. They know that almost all of the most common repairs will cost more than a service plan. 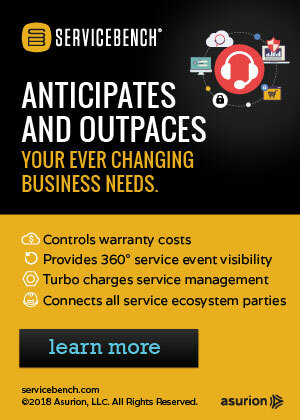 What they don't know is whether they will benefit from a service plan. Are they the buyer of the one that breaks, or are they the buyer of the two, four or five that don't? "NEW works with many of the largest national retailers and manufacturers and is committed to providing quality product protection and support with integrity and total commitment to customer satisfaction. "Some consumer media have warned consumers to be wary of service contracts, as some companies offering them have been linked to fraud and scams. This has been most widely reported related to auto warranties. "However, the majority of the largest national and international retail chains offer service contracts administered by NEW. Our plans cover a wide variety of products, from consumer electronics to appliances, sports equipment, jewelry, and even lawn and garden items. "We want to provide as much information as possible to help consumers better understand the value and benefits of product service contracts. Below are a few tips that will help consumers make sure they are contracting with a valid organization and get the most out of their service contract purchases. 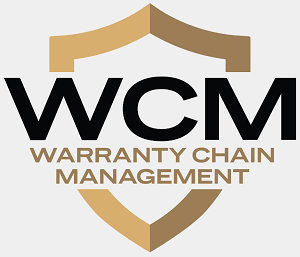 Fulfill all obligatory responsibilities, such as proper handling, voltage, etc., and keep the service contract paperwork, original receipt(s) and all maintenance records in a secure, easy-to-access location. If the plan provider has a website where you can register, go online and complete the needed user registration." In addition, NEW advises, when accessing customer support via phone or online for troubleshooting or technical support, be sure to have your receipt handy. Is the new FL law limiting implied warranties for HOAs unconstitutional? Maytag sends expiring warranty letters to appliance buyer 10 months too soon. What happens to my Hotpoint warranty after the manufacturer went bust? Mitsubishi Motors launches 8-year 150,000-km warranty in Ireland. Subaru UK launches 5-year/100,000-mile warranty for all but the WRX STi. NEW says consumers want fast service & Grade A customer satisfaction. Tata Motors doubles warranty period on heavy trucks to 4 years. The Warranty Group hires new country managers in China & Malaysia. Judge rules against Slingbox manufacturer over false warranty claims. Goodyear tire warranties still good, though the selling retailer has closed. Subaru UK scraps aftercare offer, lengthens warranty to 5 years instead. Isuzu D-Max warranty coverage extended from 3 to 5 years from 1st January 2013. Vodafone backs refurbished smartphones with 1- or 2- year warranties. The Warranty Group invests in National Underwriting Agencies Pty Ltd.
Fulcrum helps Polaris refine its extended warranty direct marketing campaign. CrateEnginesforSale.com sells Acura/Integra crate engines with 3-yr. warranties. N. Korea's Kim Jong Il died in a rage over power plant warranty claim. 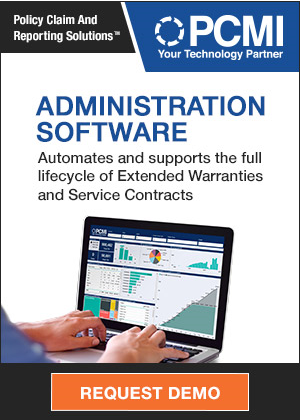 Fortegra Financial acquires extended warranty administrator 4Warranty. Walmart sells extended warranty but can't find parts for Vizio TV. Nissan expands warranty on Leaf to protect against battery capacity loss. Is AppleCare extended warranty coverage worth the money? Town mulls its warranty options after another turbine delay. Belkin power surge protector warranty makes it difficult to collect. Extended warranties under Fair Trading spotlight in Queensland. Amazon files trademark applications for Kindle-branded extended warranties. Italian authorities fine Apple 200,000 euros over AppleCare. Saab Automobile Parts North America and GM sign warranty services agreement. Many credit cards offer better extended warranties than retail stores. Navistar sees a spike in warranty claims over engine issues. Apple's new Nigerian distributor touts two-year warranties. Asda to offer SquareTrade warranties for electrical goods. Newegg to offer extended warranties on products bought from other retailers. New home warranty insurance motion defeated again in Moose Jaw. Safe-Guard Products adds vehicle service contracts for independent dealers. Fidelity Warranty Services denies engine replacement claim, then reconsiders. FLIR lengthens warranty for thermal imaging camera components. Mize Inc. releases Support Me mobile app to connect consumers with brands. A.M. Best Co. affirms financial strength rating of "A" for Heritage Indemnity Co.